There is something very liberating about being able to smile with utmost confidence, without feeling self-conscious about how your smile appears to others who can see it. A sense of freedom can be enjoyed with knowing that your smile looks as great as it can possibly be, and that you can flash those gorgeous smiles whenever and wherever you wish to do so. However, there are countless people all over the world who are suffering from embarrassment or self-consciousness whenever they have to smile, or even when they have to open their mouths to speak. 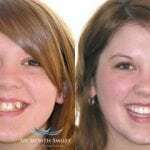 Using metal braces or other orthodontic appliances can provide effective solutions to issues concerning crooked teeth, or teeth that are improperly aligned – but not everyone wants to deal with having metal braces on their mouths for long periods of time, or with the expenses that are associated with having orthodontic treatments. 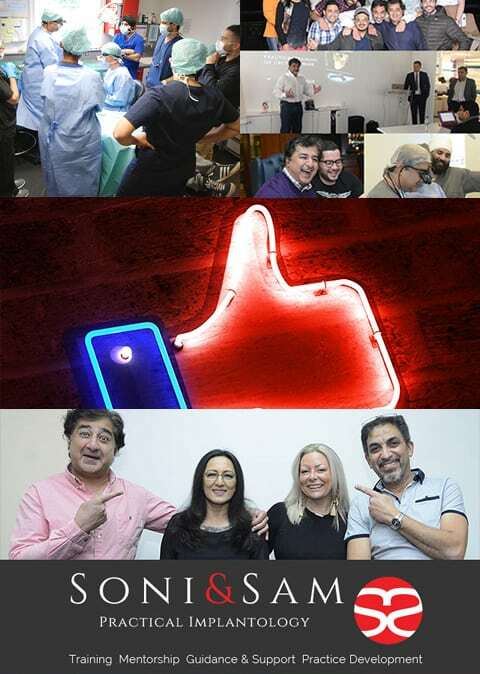 Would you like to know more about a cosmetic dentistry option that can give you the perfectly aligned teeth you have always wanted, without being too obvious about the whole treatment? 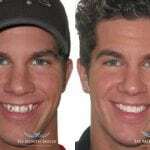 Are you looking for ways to straighten your teeth in non-invasive and cost-effective ways? 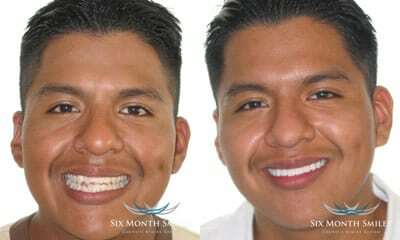 The 6 Month Smiles solution may be the one you are looking for! The 6 Month Smiles system used by Soni Dental Implants is a cosmetic braces system that uses customised clear braces and nickel titanium wires, which work to gently but effectively move your teeth into a more properly aligned position – in an average period of time lasting for just six months! With the 6 Month Smiles system, you can look forward to enjoying more properly aligned teeth within a few months, instead of having to undergo the orthodontic treatment for a period spanning a few years. 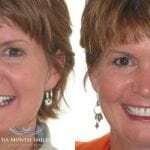 The 6 Month Smiles cosmetic braces system is a faster, safer, and easier orthodontic treatment; it is an excellent option for relapse orthodontic concerns, when teeth have moved back after they have been treated with prior orthodontic work. 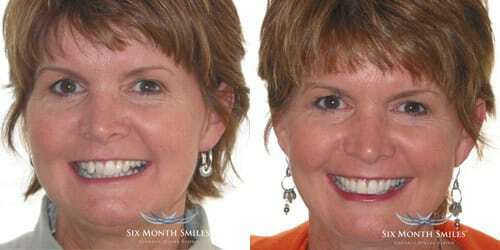 The 6 Month Smiles system can also be used as a less invasive and more preventative approach, especially as part of the preparation for a dental implant treatment, or for a cosmetic dentistry treatment. The clear brackets (the 6 Month Smiles Lucid-Lok) used in the 6 Month Smiles system are almost invisible, so the orthodontic treatment can proceed in a very discreet way – there is no need to go for months (or years) with metal wires and brackets included in your smile. The wires that are used in combination with the clear brackets for the 6 Month Smiles very closely resemble the natural colour of the teeth, making it possible for the teeth straightening treatment to effectively work its magic without being too obvious to others. Complete comfort is guaranteed while using the 6 Month Smiles system, because there is no need to deal with metal brackets or wires that have the tendency to rub painfully against the inner lining of the mouth. The clear brackets and wires used in the 6 Month Smiles cosmetic braces system are designed to be worn in a very comfortable manner. The gentle but effective force exerted by the 6 Month Smiles braces ensures that your teeth are moved into their desired position in the most successful way, without giving you a whole lot of pain in the process. 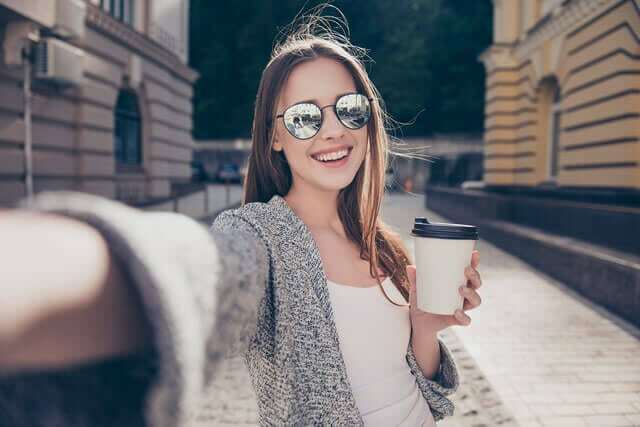 Using the 6 Month Smiles eliminates the risk of damage to the tooth root – which may be a risk when using traditional orthodontic (metal) braces). The gentle forces exerted by the 6 Month Smiles system ensures that the teeth are not exposed to additional risks or harm, so that you only get the result you want after the treatment – straighter, more properly aligned teeth. 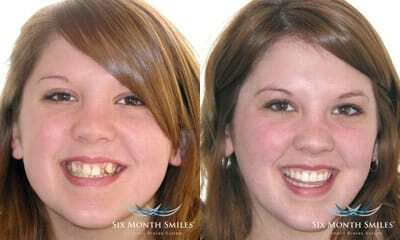 As the name suggests, the 6 Month Smiles cosmetic braces system provides you with more properly aligned teeth in an average time of just six months – a time frame that is much shorter compared to the two to three years that is the average for traditional orthodontic treatment to work in making teeth more properly aligned. Free retainers are provided by Soni Dental Implants after the 6 Month Smiles treatment, to ensure that your teeth stay in a properly aligned position. 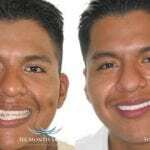 The cost of using the 6 Month Smiles to straighten teeth is considered to be less expensive compared to the use of traditional orthodontic braces, since there are fewer visits to the dentist necessary to keep track of the whole orthodontic treatment. In general, you will only need to go to the dentist to have the 6 Month Smiles braces adjusted every five to six weeks; these regular check-ups will ensure that the orthodontic treatment is progressing according to the treatment plan. 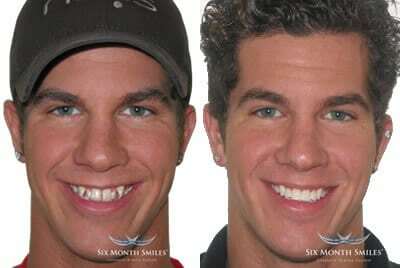 The cost of the 6 Month Smiles ranges from £3000-£4000, depending on the treatment plan determined by the dentist. Enjoy Brighter Smiles with 6 Month Smiles by Soni Dental Implants Now! Soni Dental Implants offers you a much more discreet, less invasive, more cost-effective, and more comfortable way of enjoying properly aligned teeth with the 6 Month Smiles. Get in touch with Soni Dental Implants now, and enjoy a free consultation to determine your eligibility for the 6 Month Smiles treatment, and so you will know more about what the whole treatment involves. Free parking is offered when you go for your consultation in our clinics, so that is one less thing you have to worry about – because we want to ensure that your whole experience with Soni Dental Implants is something to smile brightly about.